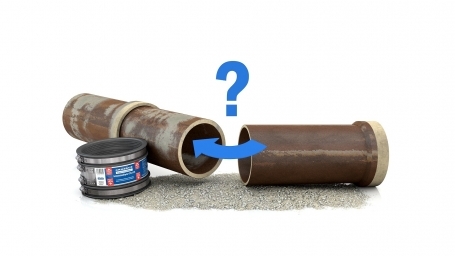 You have a broken or damaged clay pipe. 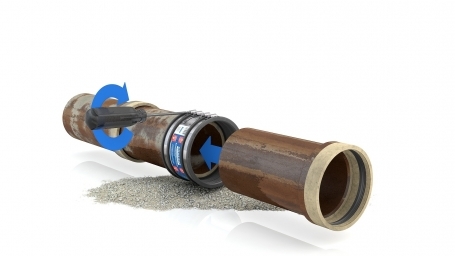 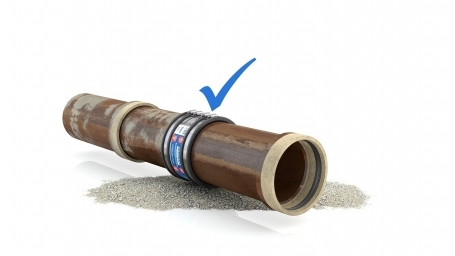 Cut the damaged spot and clean the outside of the remaining sewer pipe parts. 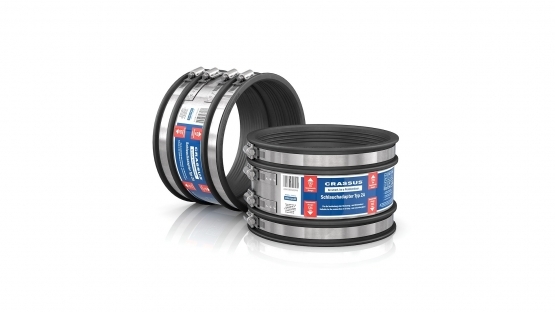 Now you can push the Crassus Standard Coupling Type 2A over both ends (if necessary use lubricant). 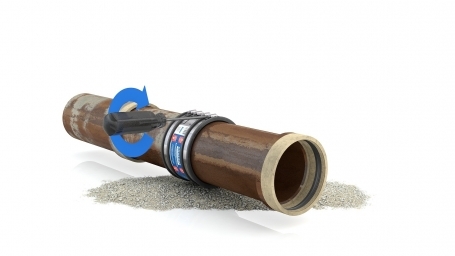 Place a new part of clay pipe, cut to the right length. 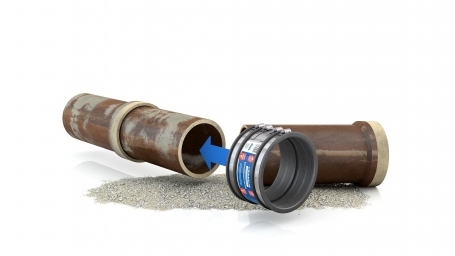 Push the standard couplings over the new placed clay pipe parts and tighten the clamp bands.